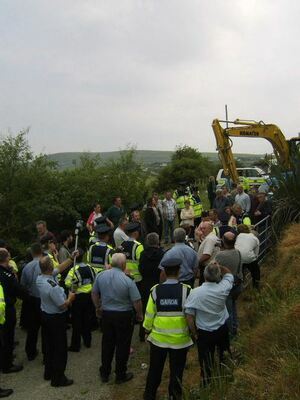 The Observer is reporting that a small oil services company called OSSL gifted sweeteners to residents and gardaí of Rossport, Co. Mayo, on behalf of Shell from 2002 to 2010 – including a delivery of €35,000 of alcohol to Belmullet Garda Station in 2007. “More sinisterly, OSSL also claims that a Shell manager demanded that Rooney withhold evidence after the clash, which occurred at Pollathomais in 2007. Rooney says that he heard an officer say of the pipeline protesters, “drive them into the sea”, but was told that this “cannot be part of your statement” to an ombudsman because the officer concerned was “our man” and “had to be protected at all costs”. 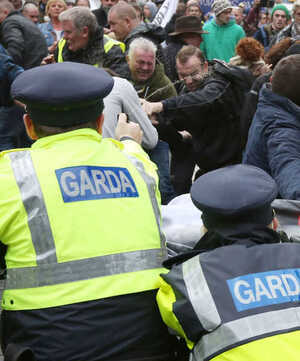 Posted in Misc and tagged gardai, shell, Sweeteners at 12:43 pm on August 11, 2013 by Broadsheet.